Just Like Grandma Used To Know! 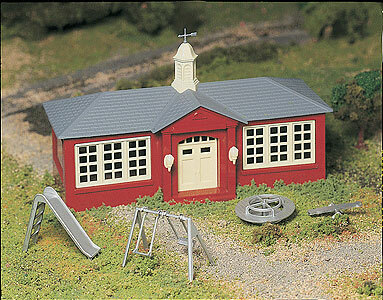 Build a complete town for your O Scale railroad with this selection of structures. Residential homes, businesses, industries and railroad buildings are all available. Store resting aircraft comfortably inside this hanger. Copy this School House to your MY ACCESSORIES roster.